As more and more LinkedIn members decide LinkedIn has merit for selling and recruiting, there is an assumption that just because you’re on LinkedIn it’s going to “automagically” work. I’ve been on LinkedIn a long time, it’s my number one source for leads. I’ve been on LinkedIn for a long time but haven’t really used it. I’ve heard from others that it’s their best source of leads. I want that. Ok, I’ve been a hold out but since I can’t find leads anywhere else I am going to try LinkedIn. Just because you’ve decided to turn on the fire hose doesn’t mean it will be effective or worthy of consideration. Will your community of fellow LinkedIn members find you interesting, compelling, worth even five seconds of their time? You see, the first statement is clearly someone who understands the inherent value of not only the LinkedIn platform but how to engage on said platform. There’s a sense of a give-to-get mentality, at least. LinkedIn works for them because they’ve learned to add value* to their network. They didn’t just show up to sell or recruit, scream out loud or plead for introductions. They’ve watched the good behaviors and best practices within their network and aptly applied them. Let’s define how they’ve added value. 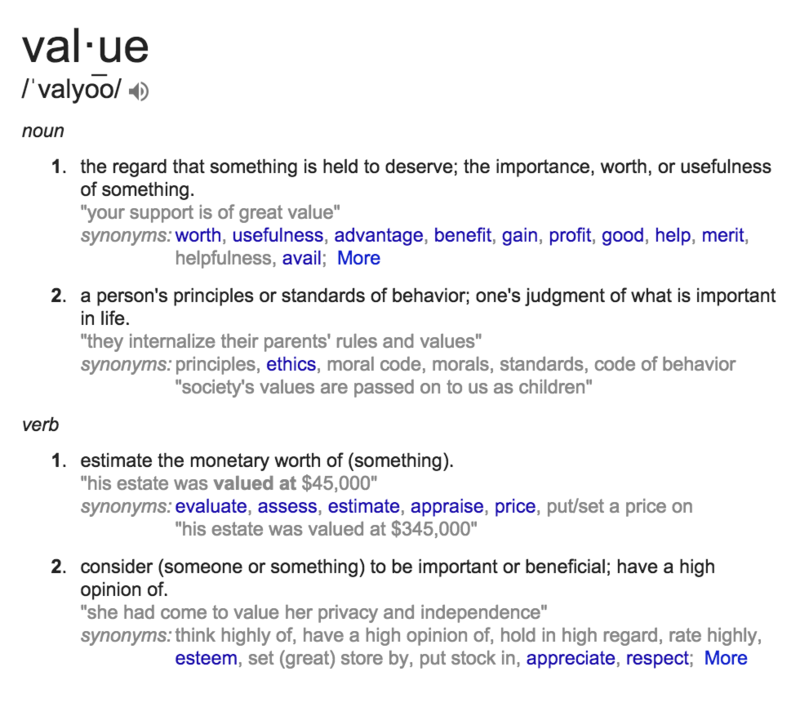 What is value, anyway? Value adds something to something else. So how do the best LinkedIn members add value? They are community participants. Like, comment, share and promote their colleagues, clients, prospects, strategic partners, mentors, mentees, friends, students etc. One of the most important things they do is stay above the radar as information sharers. I love information, so when others share good content with me, it elevates my interest and connects me with that person; it often starts a conversation. It also tells me that they understand what LinkedIn does really well. LinkedIn helps us start conversations, which is more important than the transaction. You may land a few transactions but are you building long term referral sources, partners, advocates, ambassadors? Call them what you may, in the end, call them priceless. They will help you build good, long-lasting business for years to come. At Intero, we continue to receive introductions and referrals from people who participated in a LinkedIn workshop four years ago. Wow, I am humbled and so grateful. On the other hand, logging in and expecting a group of people, many of whom you don’t actually know, to respond is a bit presumptuous, don’t you think? To me, it’s a bit like my annoyance with answering a call to hear someone trying to sell me something on the other end. Ugh. You haven’t earned the right to blast your community with something because you are not going to hit your quota this quarter. The second statement (I’ve been on LinkedIn for a long time but haven’t really used it. I’ve heard from others that it’s their best source of leads. I want that.) is more aspirational but I’m not sure that they understand the reason why it has worked for others; because they have worked it. They hear the successes and think, heck, I want that. I’m in. But the LinkedIn playground is far more difficult today than it was three years ago. With two to three people joining per second the network is louder and crowded with status updates and posts, introductions and Groups. Your intention needs to include a generous strategy, a marathon timeline and some heads-down keyboard work. LinkedIn is not a shortcut to sales or recruiting top talent. It is a powerful tool that works for those who are intentional and ready to add value before their ask. Oh, and the third statement (Ok, I’ve been a hold out but since I can’t find leads anywhere else I am going to try LinkedIn.). I often feel the wonder and desperation woven into their intention. I understand it but it has no place in learning the art and science of good sales, social selling and LinkedIn. The minute (and, it will only be a minute or two) it doesn’t work they rise up and claim they really knew it wouldn’t; they were right after all. They just miss the bigger picture and the need to have a generous strategy, a marathon timeline and some heads-down keyboard work. They don’t value the idea of sharing information, know-how or participating. I’d like to make them understand but it often falls on deaf ears. They also see others’ content sharing as “garbage” or “nonsense” (granted there will always be an element of that but you control that too). I think there has to be an agreement that we’re borrowing someone else’s platform, it’s not ours. You can’t show up at the party with a megaphone and expect people to want to stand with you. It’s just too much noise. But if you had shown up, talked a bit with different folks and then decided to make a toast, people would probably listen and enjoy what you had to say because you had taken the time to create context, ask a question or two, and engaged in friendly banter. LinkedIn is no different. I meet amazing people from all over the country. I look forward to seeing what they know, who they know and what it is they are looking for to further their business. Sometimes I can be of help, sometimes not; but the more I welcome it, the more opportunity I have to add conversation, create introductions and inform my current network. So, rethink your activity or lack thereof. Think about your agenda, put it aside for a month and just engage like you would if you were in-person. See if anything worthwhile emerges. Review the list of how to add value and consider how you can begin to make a difference in your professional network.